Tata Motors is on a roll with consistent launches since late last year. In as little as 51 days, Tata introduced five models as the Tiago NRG was followed by Nexon Kraz edition, facelifted Tigor and the JTP performance-oriented versions of the Tiago and Tigor. The long-awaited Harrier officially entered the domestic market on January 23 as Tata kicked off the new year with a bang. While the homegrown auto major is expected to make a big impact at the 2019 Geneva Motor Show hosted between March 7 and 17, the next volume-based brand new launch will obviously be the 45X premium hatchback rivalling Maruti Suzuki Baleno and Hyundai Elite i20. However, the 2019 Tiago could arrive at the showrooms before the 45X and the first glimpses are brought to you by us. 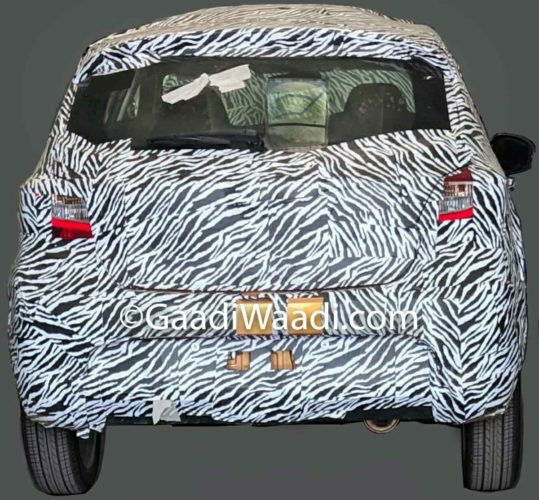 In an exclusive report, we can show you the camouflaged prototype of the upcoming mid-cycle update of the hatchback.The test mule wore Sunburst Orange colour and its body-coloured ORVM can be clearly seen. The Tiago ensured Tata to post impressive YoY sales growth of 26 per cent last year and it topped off by retailing 9,277 units in August 2018 – its best-ever volume tally in a single month. The Tiago’s sales grew by 30 per cent in 2018 compared to the previous calendar year. Tata will be aiming to keep the momentum going with the mild 2019 MY update. 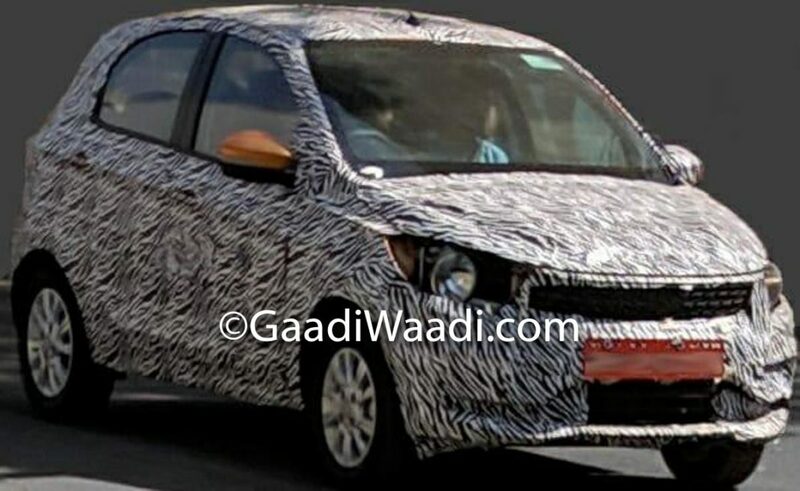 Just as the latest Tigor, the cosmetic changes will be subtle with slightly modified front and rear bumpers, newly designed alloy wheels, smoked out headlamps, tweaked grille section, etc. The Tiago is powered by a 1.2-litre DOHC Revotron three-cylinder petrol engine producing 85 PS at 6,000 rpm and 114 Nm of torque at 3,500 rpm, and is connected to a five speed manual transmission or an AMT. The 1.05-litre three-cylinder Revotorq diesel unit, on the other hand, kicks out 70 PS maximum power at 4,000 rpm and 140 Nm of peak torque at 1,800-3,000 rpm. It is mated to a five-speed manual only and has claimed mileage of 27.28 kmpl. The petrol variant currently is ARAI-certified to return 23.84 kmpl. The Tiago JTP uses a 1.2-litre turbocharged petrol engine making 114 PS and 150 Nm. Expect no performance changes on the 2019 Tiago but the interior will likely get its share of updates including a seven-inch Harman-sourced seven-inch touchscreen infotainment system with Android Auto connectivity. The 2019 Tata Tiago could be launched soon with added standard safety features sticking by new government regulations like the driver airbag, reverse parking sensors, speed sensing auto door lock, high speed alert and seatbelt reminder among others.